I feel for y'all n00bz0rz who have donated over paypal! You are just soooo lame. I am sure you fear me now because I am much crazy cooler than all of you put together. Don't lie. That's how I roll. PS: For the rest of you l33t enough to consider making liquid (or solid) donations to Ozh, I recommend you do not put any "\m/" in the address field. It seems to confuse the French post-office a lot. 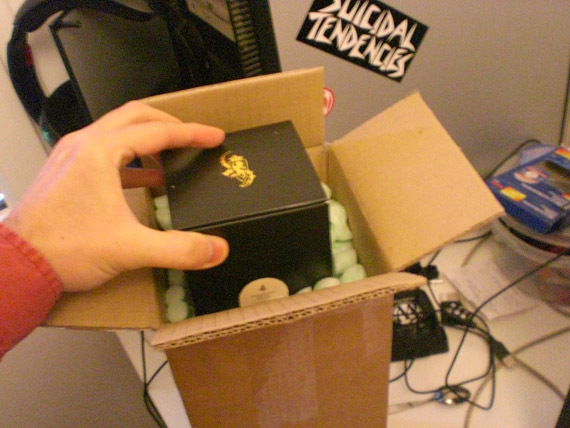 You just won my heart with the Suicidal Tendencies sticker, Ozh. Just trying out your admin drop down which is very nice – thank you! I notice you have a LOT of plugins out there so I'd like to ask you.. I am new to WordPress and just starting writing plugins for my own use, but with the idea of making them public, and am wondering about the prospects of doing this for money. Can you say anything about this (privately if you prefer)? I'm curious to know whether I might earn some of my living at this. P.S. 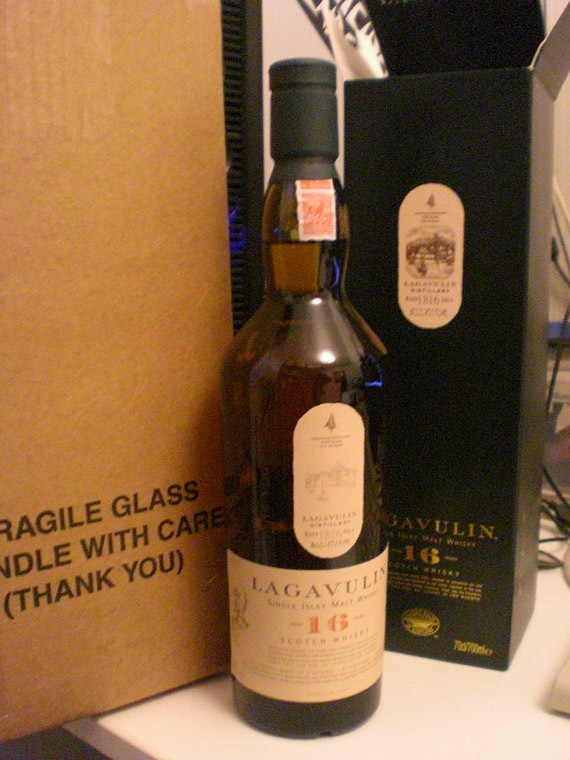 Lagavulin was my fave too :-). Along with Highland Park and a few others at different times. theWebalyst » The free-plugins-for-donations model is very very poor, from my experience. I have never tried "premium" plugins (ie sell them on dedicated platform such as wpplugins.com) so I can't tell. The gain, because there is an obvious one, is a side effect of releasing free stuff: all the freelancing gigs I got, all the freelancing gigs I turned down, and writing a book about WP plugins, all this has been made possible thanks to my plugins and the sort of renown they've given to me. There's no way to top the cool factor of a good single malt. Alex, you're awesome to send it. 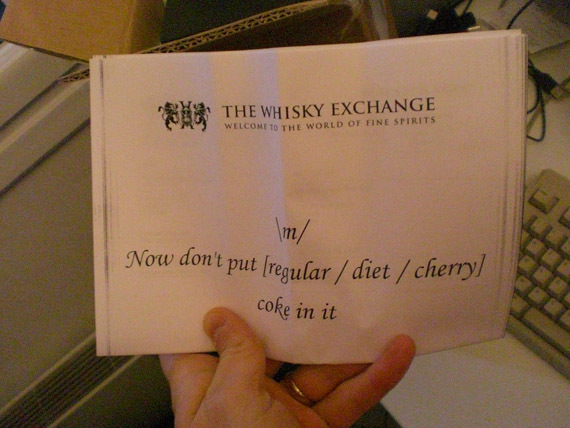 And Ozh, thank you so much for respecting the scotch as you do. Oh yeah! And thank you for the cool things you're developing for us to use/read/etc. « Don’t Buy “The Internet Is a Playground” Book from @27bslash6: It’s a Scam. «Previous post: Don’t Buy “The Internet Is a Playground” Book from @27bslash6: It’s a Scam. »Next post: WordPress Humorous & Satirical Site to Launch?